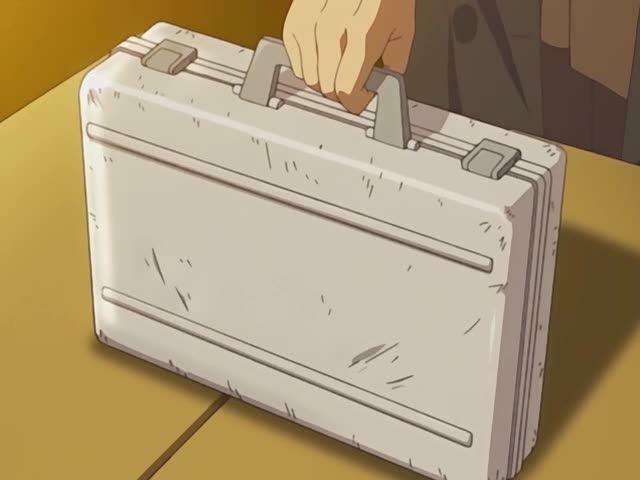 Episode 13, the penultimate episode, was actually excellent in many respects. 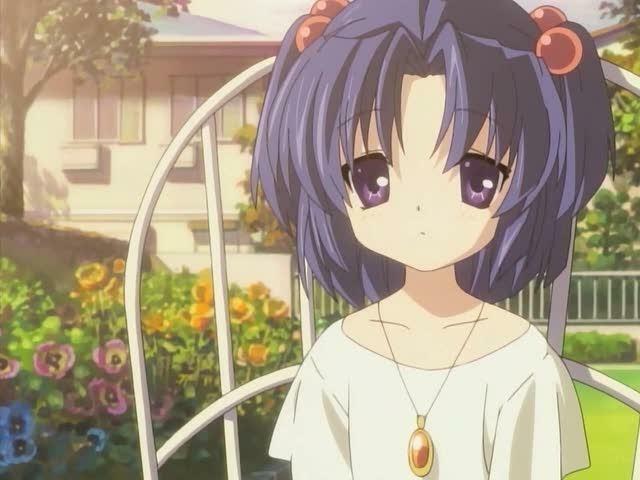 The flashback scenes to Kotomi’s childhood were gripping, and the metaphor of the world being full of harps was beautiful. Her parents, though only briefly shown, proved to be simultaneously loving and flawed. We are given tantalizing hints regarding the nature of her parents’ research and the question I kept asking–especially during the drawn-out gardening scenes–was whether they really were going to somehow tie “The Dandelion Girl” into all of this beyond the oft-quoted line about rabbits, deer, and you. I was wrong, of course. Much to my slight dismay. One thing about the Key formula for tearjerking that I’ve never took to is the reliance on motifs from early childhood. Here, it’s a teddy bear. In the ED and with Nagisa, it’s the Big Dango Family and its associated song. Fuko’s starfish also qualifies somewhat; for Misuzu in Air, it’s the dinosaurs that say “gao.” When the bear was revealed I was almost still half-expecting for the scientific paper to come tumbling out too, or discover the paper stuffed in the bear. What we got though is a real triumph of big emotional flourish over realism–finding out the paper she burned was a bear catalogue and that the suitcase had gone all around the world on multiple continents. Yes, it’s a great idea on paper, heartwarming even–though it would seem to me that the Japanese writing in the letter would have directed it to Japan a lot faster than it did. This is an example of where theme (a missed birthday that really wasn’t missed, significant visual motif in the bear, etc.) dictated the plot in a way that snapped my suspension of disbelief. That it involved, well, a teddy bear made it seem all the more like the sort of thing that I always faulted Key for in the past: excess childish sentiment at the expense of believability. 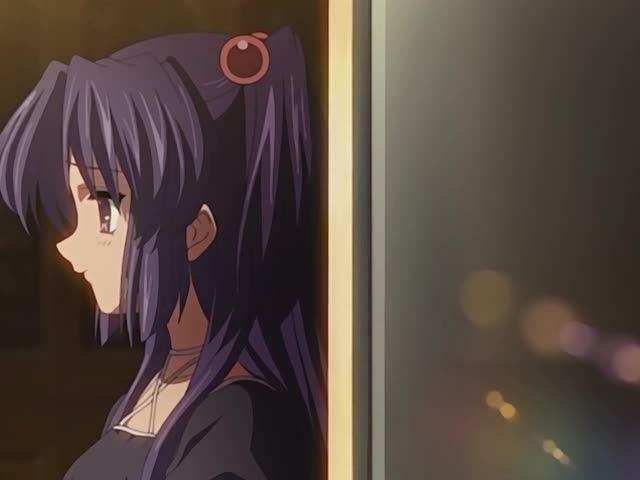 I also felt the same way about the very convenient way in which Tomoya only remembered everything near the end; you’d think that you’d remember something like seeing a little girl crying in a house on fire pretty well since that’s rather out of the ordinary. I kept expecting some explanation of how some Weirdo SF Plot Device erased his memory because it took place in an Alternate Universe, but this plot actually eschewed any fantasy devices–which makes the unrealism of it stick out even more. No, it’s not as overdone as some of their previous work. The pacing was still excellent, which made it more than watchable; only the very final scene felt just a bit abruptly cut off, while the rest flowed like smooth butter and hit the emotional beats at the right times. The crying wasn’t overdramatic either, in line with previous arcs, and it built upon a stronger base of a whole group of friends helping out and a connection to family. (Koneko-chan’s concern that it would be about Tomoya helping her out all by himself was thus assuaged.) The ending doesn’t leave things so much emotionally unresolved–they really are good at bringing most things full circle–as much as feeling a little bit more contrived than the Fuko arc. That arc worked for me mostly because it was least so of everything I’d seen by these creators up to that point. Maybe I’m spoiled now. It may be my disappointment is also in a way a sign of progress–the show, on the whole, raised my expectations for Key’s storytelling abilities. The Kotomi arc certainly didn’t ruin my enjoyment in the least. But it didn’t stun me with the progress that Key had made in the space between Air and this one, and felt like a slight step back. And I guess in a way that’s all right. You can’t hit them out of the park all the time, especially for a show scheduled for this length, and many fans tell me that I should gird myself for the ultimate arc–the one about Nagisa. I will certainly do so. 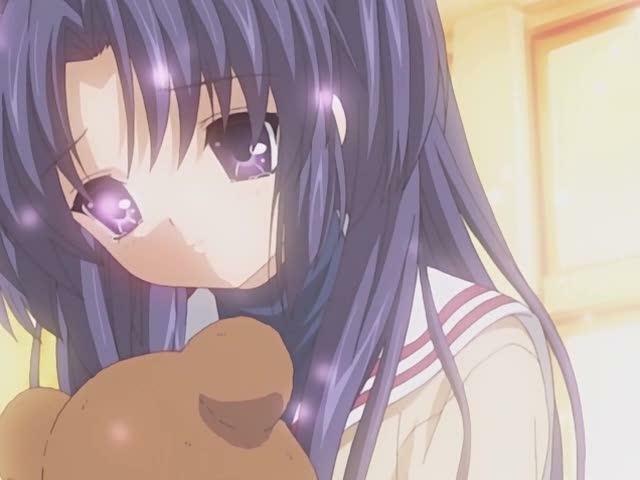 Even with this slight letdown, Clannad is shaping up to be an example of “traditional visual novel/game adaptation done right” and I’ve never failed to enjoy at least parts of every episode I’ve seen. Which surprised me, given my in-built biases against this genre. Previous PostYou know you watch too much anime when… (part 5)Next PostShigofumi 2–Fly High, Yandere?